Geoffrey Bibby was a Cambridge-educated oil executive, who got caught up, against-all-odds, with the tiny Danish Prehistoric Museum of Aarhus, with barely any resources, that nonetheless has emerged as a powerhouse in ancient Dilmun studies, thanks in part to Bibby's initial efforts. As he writes in this book from 1969, "Four thousand years ago the "Lost Civilizations" of Dilmun dominated the road to the Indies, the tradeways between Mesopotamia and the civilizations of the Indus Valley. And for fifteen years it has dominated my life." He tells of days when Landrovers were borrowed from oil companies, when Aramco staff went "pot-picking" in the desert along ancient mounds, well before the great oilfields were discovered. Tiny teams and planes scoured vast deserts, unexpectedly turning up once flourishing ancient towns from a civilization, Dilumn, only known from Mesopotamian texts. He describes the excitement of finding the buried snake pots and bones that corroborated myths about Dilmun in these texts, or turning up seals with Indus signs. The first Indus archaeologists did not leave these kinds of personal memoirs behind (with the exception of Sir Mortimer Wheeler's Still Digging in 1956), so it is a pleasure to read this volume, and share in the author's discovery. Then the ruling Sheikhs lived in tents, and sometimes went along on archaeological expeditions; they knew little of a pre-Islamic past but still managed to set up the first authorities and archaeology departments, often with Bibby's advice, that are leading continuing discoveries in the area rapidly changing Bronze age studies. Imagine, as Bibby did, watching movies projected with a generator on a screen in the desert with Sheikh Zayid of Abu Dhabi, until 2 a.m., "when they begged to show a second film we threw in our hands, and begged Sheikh Zayid that we be excused. We were to be up early the next day, we explained, in order to see what Buraimi had to offer of archaeological remains. Zayid smiled and nodded. 'I shall come fetch you at seven o'clock,' he said. That was in less than five hours time [and] . . . promptly at seven two open jeeps roard up before our ziggurat, with Zayid himself, looking spruce and wide awake, driving the leading vehicle." Bibby went on to excavate in the mounds of Buraimi, outlining the Umm An-Nar culture whose pottery shows marked similarities with that of southwestern Iran, Balochistan and the ancient Indus valley. There is a lot connecting Bibby's story of discovery with the ancient Indus, including finding the first local round seals with Indus letters and figures, or another seal from Falaika of a man holding a monkey, imported as pets from ancient Meluha as it was known then [Image 2]. Easy to read, with many illustrations and reflections on Dilmun that are still being sorted out, but will likely cast much light on the Indus civilization with whom the ancient Dilmunians see to have had a lot in common. The tight economic bond that seems to be forming again today between the Gulf and South Asia is nothing new. 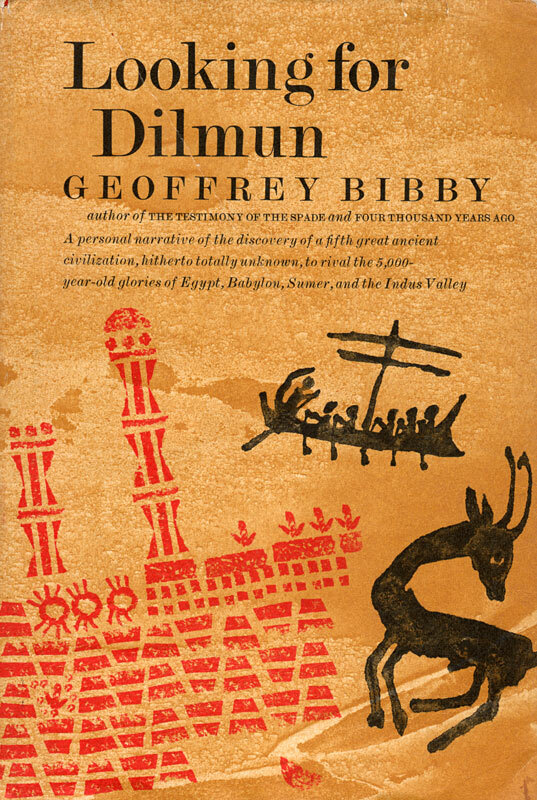 Bibby concludes Looking for Dilmun with the pointers others have taken up since then: "The tale of our search for Dilmun ends in mid-air. We have found Dilmun. Where fifteen years ago there was only the mystery of the hundred thousand undated burial mounds of Bahrain there are now cities and temples, dated and documented, along 250 miles of cost and islands from Kuwait to Bahrain and (a discovery of the 1969 campaign, added during printing) extending sixty miles into the interior of Saudi Arabia, to the oasis of Hofuf" (p. 381). 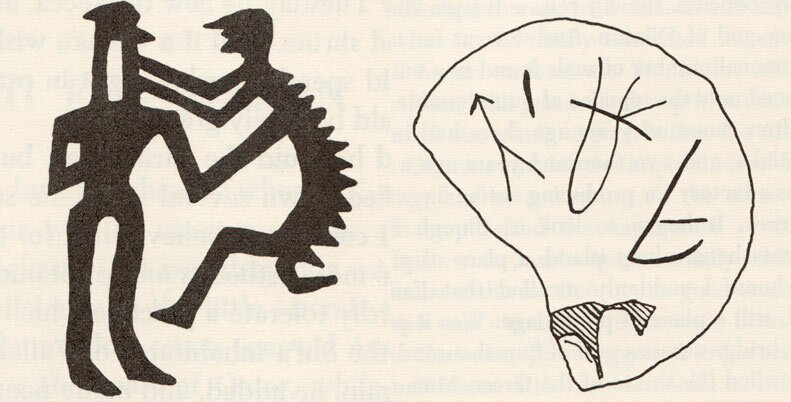 Image 2 below: Right: A single Seal from Falaika Bears an Inscription in the Unread Indus Script. Left: From one of the Falaika Seals. A Man Holds a Monkey at Arm's Length; Monkeys were Imported as Pets from Meluha. (Bibby, pp. 253, 211).